Everything is going according to plan for the heroes of the wetlands. and surely tentacles alone cannot stop them from drowning you in a shallow puddle of water. Build a bridgehead and figure out a way to get the mighty Horned Reaper to turn the tide. The third map in a row to illustrate how to use the design principles of this topic to make any kind of map you like. 'The Death Clock' could be called an 'exploration map', 'Thug of War' an 'invasion map', this new map - 'Wetlands' - is a 'puzzle map'. The player has to win using his mind and his knowledge of the game. No exploits/bugs are used. Download it here. Requires KeeperFX 0.4.6 or later. If you played it, please let me know what you think. All Feedback is welcome of course, I'm sure I made some mistakes. Last edited by YourMaster; September 13th, 2017 at 14:59. Smart, but not game-breaking. You'll have to open up soon anyway and you'll face more enemies at the same time. You're not the only one that had that problem. If you remember the Barbarian Campaign I released about a year ago now, there was one level, Runescape, I think it was, that crashed because of the pathfinding problem. 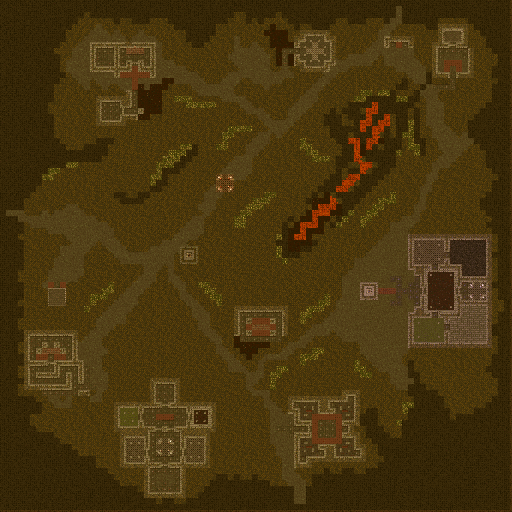 I tried everything to adjusting the map to fix it but in the end I was forced to release a more simpler map. The game can't handle certain level designs. REM Blue to be destroyed to get access to bile demons. It's indented but it has REM in front of it. The other requires Demonspawn and both of mine had advanced to Dragons. In the end I just sacced a portion of my army (warlocks and the later tentacles I never trained) until I could attract a Dspawn from the portal. You have functionality in place to give Biles if the player is blocked from imprisoning, but not for if they have no prison at all and since you already give the player a tentacle for killing so blue, you might as well give them a bile instead. - What's the point to Speed Monster being where it is? There's a small dirt path you can take to find it but without bridge, you can't get to it. It's not really a reward for exploring since the player needs to beat up everyone in the adjacent room anyway. - The ghost in the top-left is too close to the guard posts. He'll die almost instantly when claimed unless the player knows ahead of time. - There's a drip effect in the top-right with one tile radius, is that intended? - Why'd you put the lava effects in the blocked off section of the volcano? I was heartbroken when I blew some guys in there and didn't find an extra minion or trigger an action point. - When should the player get the mistress? You can walk in there when possessed so anyone with too much time on their hands could snipe the archers/samurai down and grab her 'early'. - What's the intended method of getting the warlocks? I blew them out of the prison with the Ghosts wind spell. Not sure if the player is intended to get bridge first or not. - You can blow creatures through the wall and into the hero fortress ahead of time and then snipe the hero heart without stepping on the action point. Largely useless though since you still need to get horny and kill the LOTL. I suppose if someone was desperate enough they could do that and then blow the LOTL away from the bulk of the party. The final fight isn't really hard enough to justify all this effort. Something I noticed while I was playing. When I rescued the warlocks from the prison, a payday hit and they instantly went mega-aggro. I reloaded and rescued them after the payday and when the next one came, they picked up several paydays worth of allowance. Apparently creatures still bank up "deserved pay checks" while in prison. Last edited by Woudo; July 29th, 2015 at 17:27. Nice of you to test, but I would have simply tried my best to beat the level on your first try. This is a puzzle map and the objective you get straight away is to figure out how to get Horny to join you. When you decide to sell off your prison and not build one to capture a blue bile demon I have no problem if you lose. However, as you found out I still left in two backup possibilities to get bile demons. Spiders are out by design by the way. Older version had spiders but I removed them because I do not want mistresses through the temple. Looking at the script in a puzzle map before you beat it is cheating of course. Did you still enjoy it? I guess you played all three maps I released,... which kind do you prefer Exploration, Invasion or Puzzle? So get the bridge. You get a hint how as soon as you claim the first few temple tiles. I know. When you scout in first person mode you'll almost always be too late, but when you are paying attention on your imps digging there you'll often get it. There's a drip effect in the top-right with one tile radius, is that intended? Whenever he wants to. There are multiple elements required for victory, and any order is possible and has some advantages. Knowing that trick helps the player get the warlocks faster, if not he can get them with the bridge. 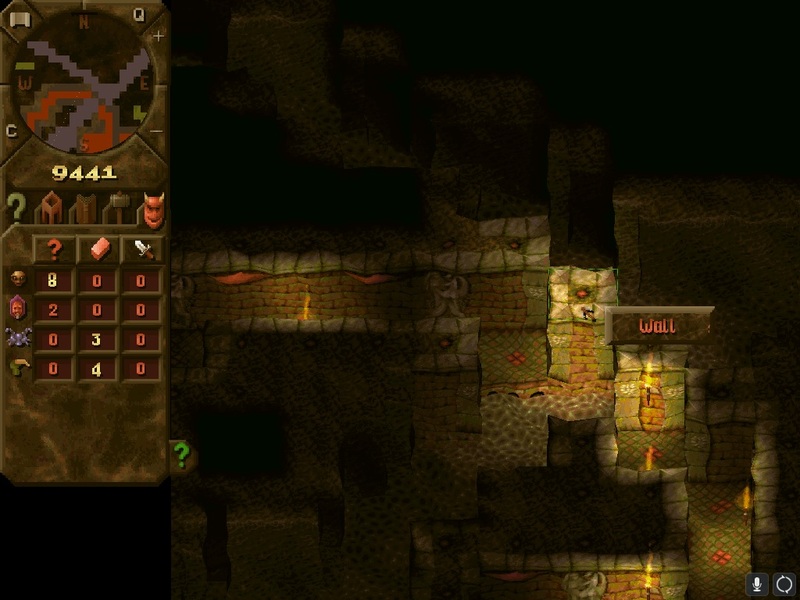 It's not really a puzzle level like Ancient/Post-Ancient; it's more like an exploration level. You're going to reach the end regardless of what you do. I didn't read the script in detail, I only checked it twice. First time was to check if Defence was operating properly and the second time was what failsafes you had for the bile-demon/blue-keeper. Didn't check the map in ADikted until afterwards when I was looking for things to fix. If you keep trying eventually you win yes, but I think there will be some people that will be 'puzzled' on how to proceed at a few points. How to get the bridge for example, or some small things like you missing the bile demon at first. If it felt more like exploration to you, perhaps I made it a bit too easy. Guess we'll find out if we have people coming here and asking questions about getting stuck. Even so, pacing of the three maps is quite different,... which do you prefer? Hi, I really enjoyed the map. It was difficult enough that I had to let creatures die in fights to win, which I thought was really cool. I also never had time to frame skip (which in my opinion ruins the fun), which was great. I loved how my tentacles were leveling as they were resting by water (which they spent most of the early game doing), and the lack of gold for training. The only issue I had was with the puzzle, the way I played the map was to claim everything I could via digging - the barracks area, and a circle around my island - then after a lot of exploring and failed tentacle attacks on blue, I found and rescued the mistress. This coincided with a mad witch attack where I lost everything except my trusty mistress, so I possessed her, went straight for blue's heart, then picked off all the heroes. Only when I killed the wizards did I realise they would unlock the bridge (not sure if I missed a tooltip or something but I assumed I wouldn't get it). At this stage, I'd inadvertently let all of blue's bile demons leave, and was stuck trying to get a horned reaper. I got the tooltip telling me bile demons were available, but no bile demon was attracted, I sacrificed every creature I got until the pool was empty, but still no bile demon (I did get some hellhounds). Considering I'd claimed blue's dungeon I'm pretty sure I had the required rooms to attract them. I appreciate that it was a puzzle and I probably should have thought a bit harder about sniping blue's heart but I still ended up a little frustrated that I had essentially won, but couldn't get the reaper. Will definitely give your other maps a go, thanks for making some new content for such a great game! Last edited by Lquiz; August 4th, 2015 at 10:57. Very nice to hear you enjoyed the map. Having tentacles level up next to water was indeed a key element of the map. I also don't like it when frameskip is the key to winning. You probable missed the objective yes, when you claim the first temple tiles the objective window clearly states 'get the bridge now' with the zoom icon to where to get it. With the bridge you could have claimed a prison which would have been a big help in getting bile demons. Not getting a bile demon from the portal with a low creature count it probably bad luck, they require 25 tiles of hatchery and 25 tiles of lair. Also, as a backup there is also a temple recipe you could have done that gives you bile demons. On summoning the reaper you would have gotten access to the hero fortress and the heroes there would have attacked you. So better luck next time. This map was probably the easiest of the 3 released, with Thug of War being the most difficult and The Death Clock somewhere in the middle.